Owing to our vast acquaintance of this realm, we are capable to render Tungsten Carbide Coating Service to our valued consumers. Owing to their timely completion, reliability and flexibility, this service is immensely admired and enormously praised in the market. Tungsten carbide coating services is one of the highly acclaimed coating services that are demanded by various industries for ensuring better finish and faster machining of components. 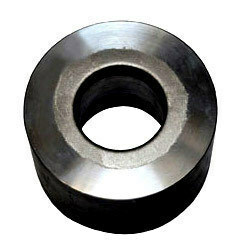 We provide our clients with tungsten carbide coating on SS 316 grade of steel. Our tungsten carbide coating services are reckoned for their quality and timeliness. We are leading service provider for cylindrical grinding services. We are leading service providers in various A-grade paper mills. Our clienteles include ITC, JK paper, BILT, TNPL, APPM and many others. The vast repertoire of machining job that we undertake provides great relief to a number industries. 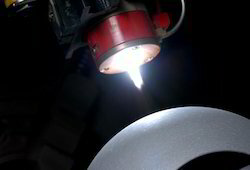 Our comprehensive range of Thermal spray Tungsten Carbide Coatings. The service is executed with help of special machines. Our services are reckoned for their quality and timeliness and are greatly appreciated by clients. Neeru Mechanicals And Consultants Pvt. Ltd.
To meet the various requirements of the customers, we are involved in offering a wide assortment of Tungsten Carbide Coating Service.